When it comes to deciding the sales-rate, pricing is one of the single-most significant factors that you need to consider. As per the recent statistics, more than 85% of people claim that pricing matters for them to a great extent while they make purchasing decisions. Of course, there are a bunch of factors which affect the sales volume, but since sales depend so intensely on prices, it should be every business's priority to optimize them to maximize sales conversions. To help you optimize the prices on your website or product line we created this list of useful tips. Past a few years, most of the businesses used to opt for static pricing strategy. But, with th growth of B2B e-commerce the concept of dynamic pricing started rising up and now it is being considered as one of the most buzzing pricing strategies on the online platform. Time-based purchase ( Set up the price depending upon the lifetime of products). The conventional pricing strategy is that the rate of sales increases when the price of any product is less and decreases when the cost goes up. But, you can’t just reduce the price abruptly because it will cause a drastic profit margin cut. So, you need to always do a comprehensive analysis of the price elasticity of each product and thus it will help you. To appropriately set up this pricing strategy, link you CGS (Cost of Goods Sold) to your eCommerce platform and apply a specific markup. This markup could be either a monetary value or a percentage of costs to hit a target profit margin. The credit card processing fees are capable of attaining a major part of the profit margins. But, you need to pay them if you want to process such transactions which are credit card based. Some businesses, for this reason, have stopped accepting credit cards for B2B transactions. Although this escapes the fees of credit cards, it also eliminates possible sales that would have been made with them, especially when taking online orders. For B2B transactions, most companies prefer to pay on account or net terms. 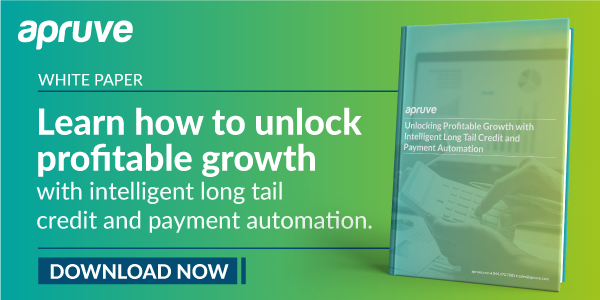 Apruve has found by offering this payment to customers; buyers tend to buy over two times as frequently and buy more than three times the line items per order. Psychological pricing (also price ending, charm pricing) is a pricing/marketing strategy based on the theory that certain prices have a psychological impact. Retailprices are often expressed as "odd prices": a little less than a round number, e.g. $19.99 or £2.98. With charm pricing, you can target the psychology of customers in the best possible way so that they end up making a purchase. When retailers are effectively using this strategy it boosts up the sales and improves the conversion rates at an alarming rate. What are charming price codes? Well, they are nothing but the commonly seen price tags like $ 2.99, $ 3.99 etc. These are referred as nothing but the charming price codes! Yes! Even studies have shown that the prices which end with $9 are generally perceived as smaller. When customers see believe that this kind of price is lower than the whole figure of the $4 or $5. People start feeling happy and get subconsciously persuaded about a fact that they bought something for a perceived larger savings than the actual. Behavioral pricing is a unique and new concept related to the e-commerce platform. This kind of pricing lets you decide the best prices for products based on how the prospective customers are behaving online. Now, the question that arises is that how can you identify such behaviors? Do A/B testing of pricing across a wide range of mediums then analyze the online data (such as browser search history, social network engagements, and click-paths of online shopping) to find out which prices increased the targeted behavior. By applying those price to your site, you should be able to raise conversions. It is in the best interest of your business to continually A/B test your pricing to see if you find an option that is more profitable. There are a wide variety of pricing techniques for any business. To choose the one that is best for you, think about your organization's primary goals. If it is based on profit margin, look at the markup approach. If it is based on market share, look into low pricing which may involve a dynamic pricing model. About Author: Neil Helson is the marketing manager at Blurbpoint Media, SEO and digital marketing company. He is passionate in helping small businesses and startups grow online. Want to sell more on your B2B eCommerce site? Then don't make the biggest mistake in B2B eCommerce. We will tell you how.